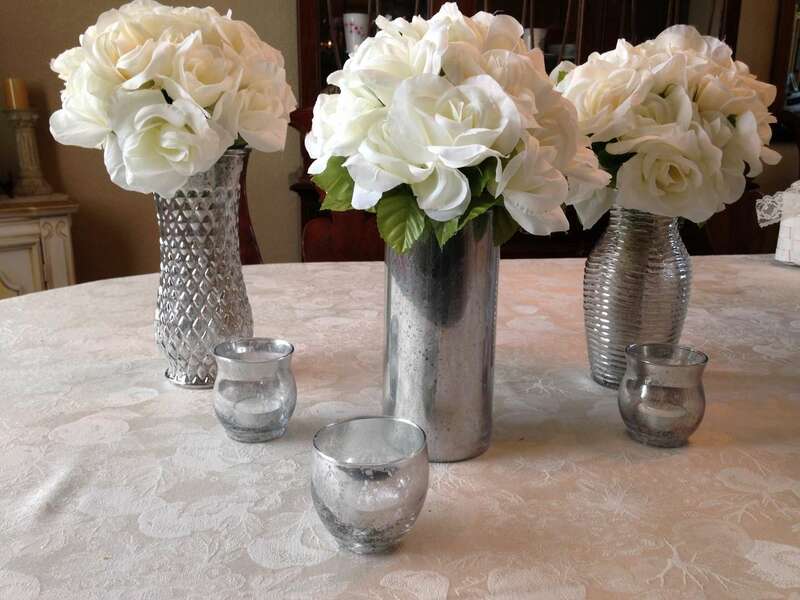 Mercury glass can be expensive, but we wanted this effect for the centerpieces for our wedding. It was a fairly easy project, and didn't take long. Now you can enjoy your finished work! 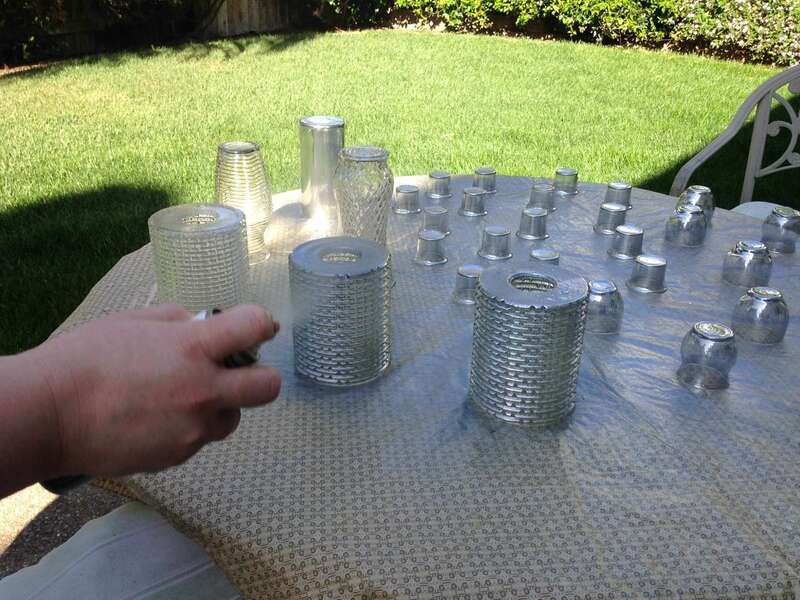 This project will be messy since you'll be spray painting your glass. I put down an old plastic table cloth on a table on our patio, but you can use newspaper or whatever is available. 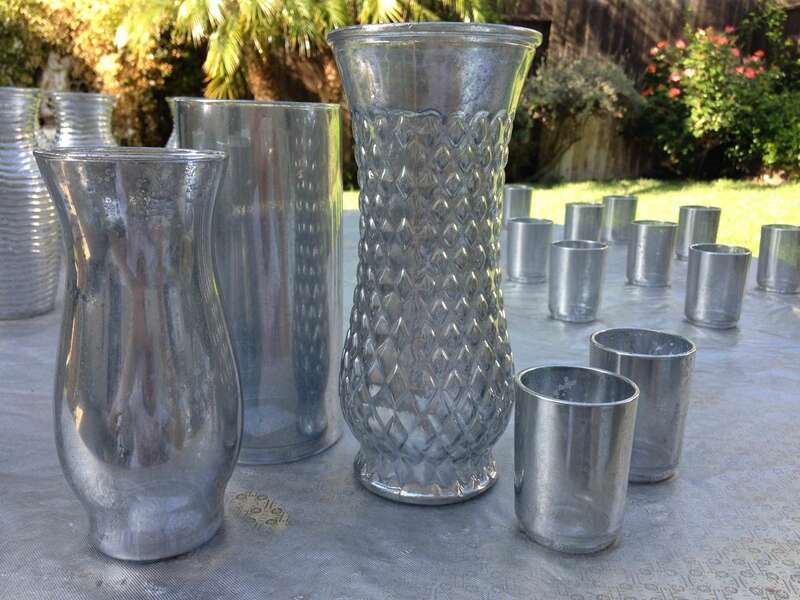 Also gather your supplies and setup your glass containers. Make sure to put plenty of space between the glass. This project can be messy so it's best to do it outside or in your garage. Mix equal amounts of water and vinegar inside the spray bottle. This doesn't have to be exact so it's safe to estimate. 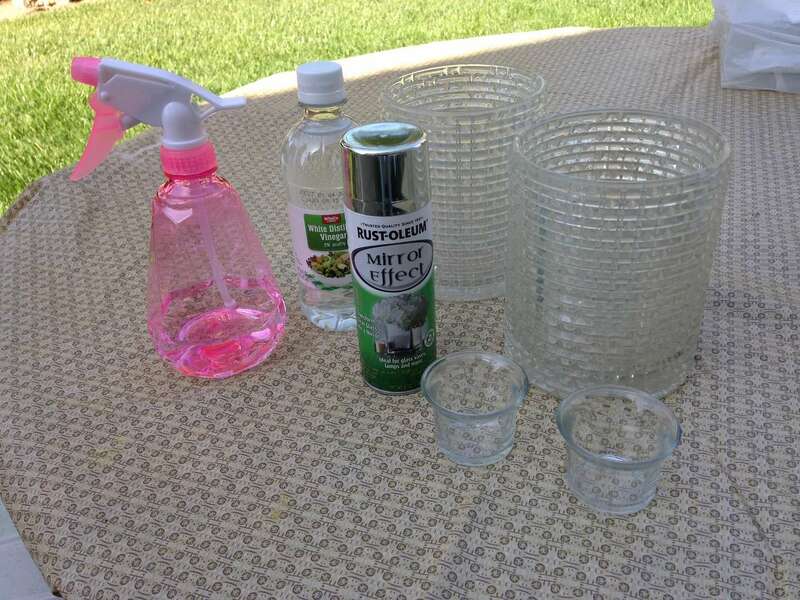 Spray all sides of your glass containers with the vinegar solution. Be sure to use a mist setting on the bottle. They shouldn't be completely soaked, but you should be able to see an even coating of droplets all around the glass. You can choose whether you want to spray on the inside or outside depending on what you want to fill it with. 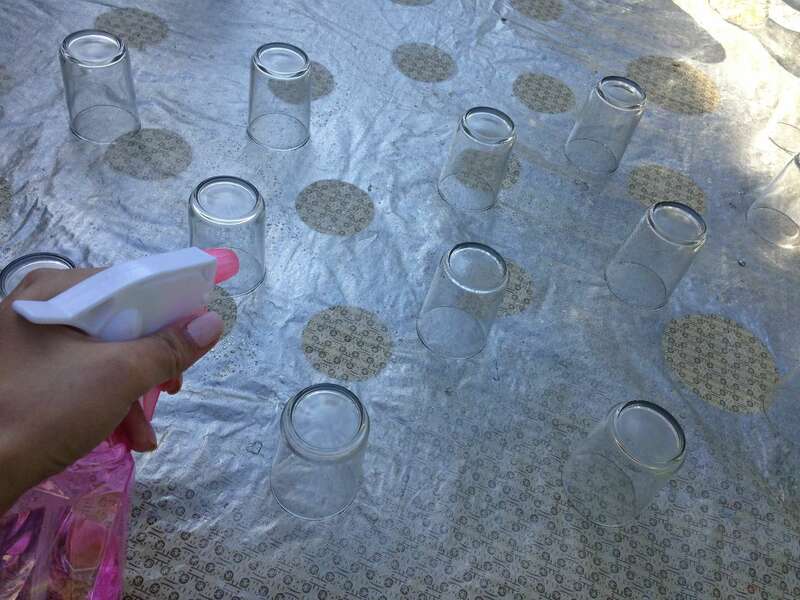 Immediately after step 3, spray a light, even coat of mirror effect spray paint on all sides of the glass. This doesn't have to be perfect as we'll be applying more coats once this dries. 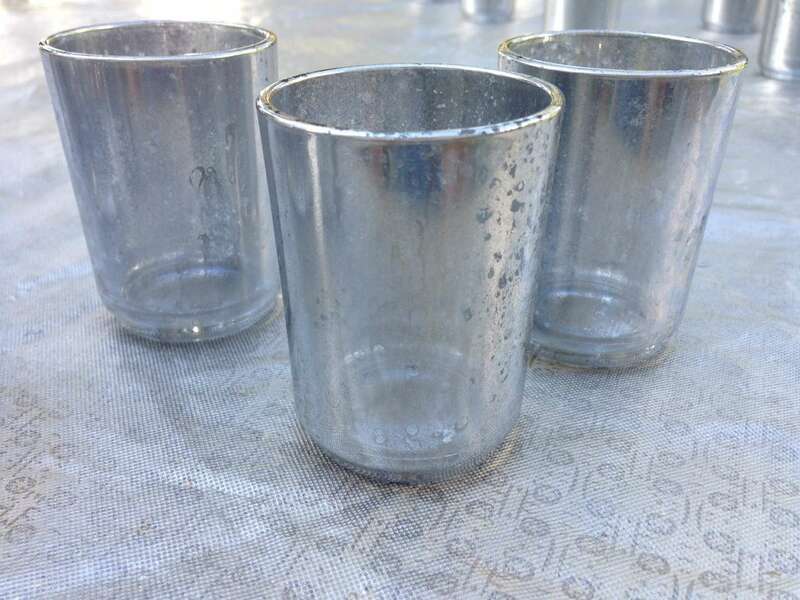 Immediately after step 4, blot the entire glass container with paper towels to remove the excess vinegar and spray paint, giving it the mercury glass effect. I repeated this process 2 or 3 times depending on the container, but you can repeat until it looks the way you want it to. 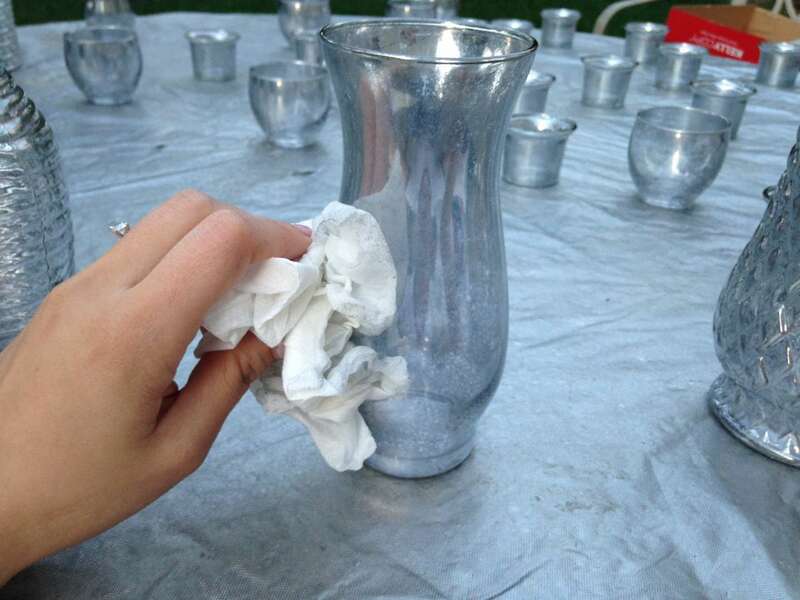 Once you've finished blotting the glass (step 5), the paint should be dry enough to immediately do another coat.